Product information "Loro Piana Checked Wool / Silk / Linen Tie - Green - Handrolled"
Checked tie made from an unusual wool/silk/linen mix, a wonderfully summer classic. Works with many formal and informal summer outfits, we especially like it with a navy suit, light blue striped shirt, Aki No Mizube square and light brown brogues. 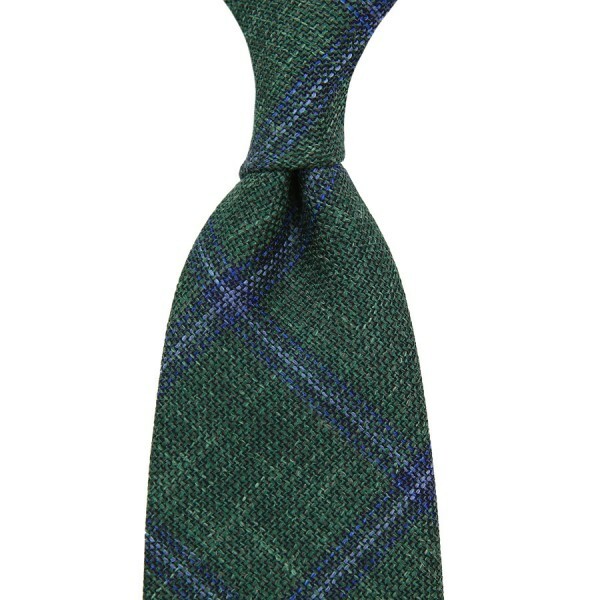 Related links to "Loro Piana Checked Wool / Silk / Linen Tie - Green - Handrolled"